Wonder Workshop has recently announced a new add-on kit for Dash and Cue - The Gripper Building Kit. Dash and Cue are programmable robots which are great for education and home use. 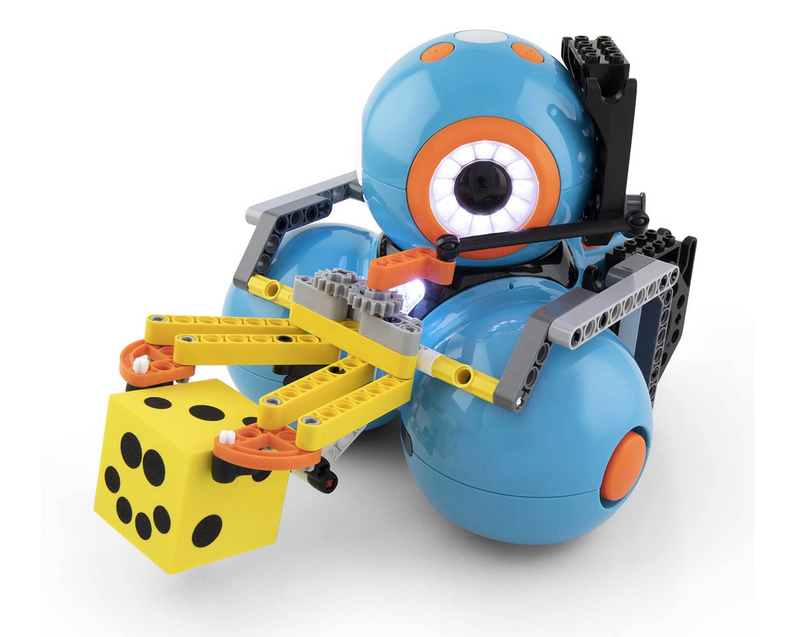 Over the years we've followed the development of Wonder Workshop's robots and kits and they are definitely worth investing in for STEAM education and exploration. The New Gripper Building Kit retails for $39.99 and works with Dash and Cue. Read our reviews of Wonder Workshop STEAM products. It includes 76 pieces of building bricks and instruction booklet. There are a quick start guide and activities for each robot to complete straight out the box. The kit also includes a plastic ball and a foam cube which you will program the robots to pick up and put down. Wonder Workshop is running some offers until the end of February 2019 to promote the Gripper Building Kit and Dash & Cue robots. The Gripper Building Kit is available on the Wonder Workshop website. Other add-ons also available from their Amazon store.